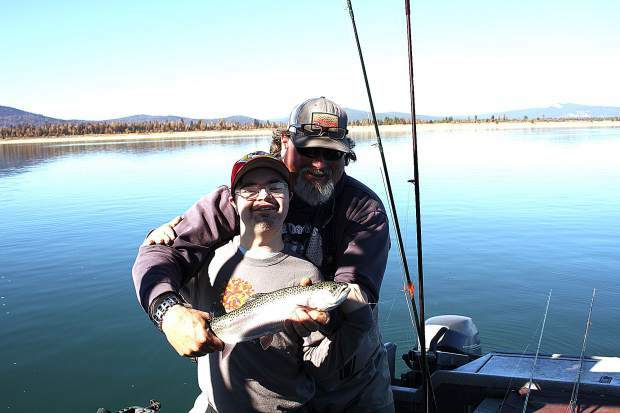 Captain Bryan Roccucci (aka “Big Daddy”) likes to split his time between Lake Almanor and Eagle Lake, and is known as one of the most highly regarded lake fishing guides in California. This year’s Indian Summer has been hanging on for an unusual length of time here in the foothills. At higher elevations, particularly on the east side of the mountains, it may be dry but the air temps act like winter is close at hand. It would be so convenient if really good trout fishing coincided with the warm weather months, but that is not the case. Some of the best trout fishing of the year is now at Eagle Lake, a half hour north of Susanville and about four plus hours from home. Colin and I spent two days on Eagle Lake at the beginning of this week and we had the most productive trout fishing trip since Pyramid Lake in 2016. This trip has been in the works for more than a month. We fished with two of the most experienced guides on Eagle Lake, Val Aubrey and Bryan Roccucci. At one point I had considered Lake Almanor and we booked accommodations at Quail Lodge near the dam on Almanor. The owner John Crotty is a guide and he has been taking his guests to Eagle Lake because the bite is so good. The knock on Eagle Lake in November is the cold air trapped in the lake’s basin. The first morning was 18 degrees and the second was 12 degrees just before day break. There must be some unwritten rule to guiding that requires being on the water to catch the dawn regardless of air temps. Needless to say the dock was covered with frost and the boat windshield was iced over. With air temps well below freezing and the lake water at 51 degrees, there was a fog rising from the lake in the still air. The only sounds were the water fowl diving and splashing as they chased the baitfish close to shore and the mutter of boat motors coming out of the mist. Both mornings we headed up the east side of the lake where the shoreline drops rapidly into the lake and there is deep water close to the bank. The steep ridge also kept this part of the lake in the shade well in to the morning. Eagle Lake is famous for trolling with flies in the fall season when the trout are feeding on minnows near the surface. The tell tale indicator of where the bait schools are, is the water fowl. Where you see the birds, the minnows are near by and so are the trout. Val Aubrey spoke of a day in the last few weeks where every bird on the lake was working just one acre of water. She estimated that there were thousands of birds. Below the surface the concentrations of trout were similar to what was happening on the surface. These rare occasions are epic with non stop action. This trip we only encountered scattered birds but our best results were always close to diving birds. The bone chilling cold of dawn gave away to pleasant temps as the fog lifted and the sunshine poured into the boat. Eagle Lake is in the high desert and known for the winds that can put three foot waves on the water in a few short minutes. Were were fortunate to be there on two mild days with just a light breeze that rippled the surface in late morning. This was a catch and release trip, not taking fish, just playing with them. With a couple exceptions all of the fish were released without removing them from the water. What makes Eagle Lake trout so famous is the weight they achieve in the course of just a few seasons. A three pound trout which is common at Eagle is a rare trophy in most other lakes. These fish are well fed and strong swimmers. When an Eagle Lake strain rainbow is hooked, they pull hard. If a hard fighting fish in freshwater is your goal, Eagle Lake needs to be on your list. Fall fishing at Eagle Lake is synonymous with trolling flies. The man responsible for popularizing this fishing style is Jay Fair who passed away a couple of years ago. In the 1980s he developed a style of fly that imitates bait fish. To this day the majority of fall anglers are fishing his flies. They are trolled at the surface with light tackle and no weight, an exciting way to fight a strong fish. Eagle Lake will continue to fish well until it closes Dec. 31. 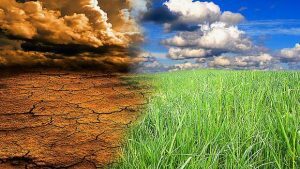 Between now and then the weather will not get any warmer. Be sure to dress well before you head out, it is worth the effort to go.